Blade and Buffy are among the two most famous Vampire hunters across any medium. If you were to ask someone to name a couple of Vampire hunters, chances are it would be these two along with Van Helsing. What a lot of people don’t know is that Blade’s comic book adventures were a big inspiration on Buffy and Angel. They weren’t the only influence of course. Buffy like everything else drew on many different sources to create something new, but still there is a lot of Blade in Buffy and in this article I am going to give a run down of specific examples of Blade’s influence on Buffy as well as general similarities between the two franchises. Blade originally began as a side character in the Marvel comic book series Tomb of Dracula which we also be looking at here too. When asked to compare Angel to a comic book, Joss Whedon said that it was more like Batman and Tomb of Dracula than anything else, whilst in The Watchers Companion Volume 1 a companion piece to the first two seasons of Buffy, he said about his influences ” I read Tomb of Dracula a lot and I am a huge Blade fan“. Contrary to popular belief Buffy was NOT the first reversion of the classic image of the little blonde girl who gets torn apart by monsters in horror movies. Rachel Van Helsing who predated the Buffster by about 20 years was. Rachel Van Helsing was obviously the descendant of the original Van Helsing. Despite her lineage she only became a Vampire hunter after her parents were killed by Dracula as a form of revenge against his now deceased archenemy. Rachel would later join Quincy Harkers band of Vampire hunters, eventually becoming his most skilled and dangerous Vampire Slayer. Rachel would battle Dracula many times and helped to recruit others to Harkers group of Vampire hunters such as Taj Nital whose son had been turned into a Vampire by Dracula, and Drake the human descendant of Dracula who later became her lover. Sadly however their relationship would be strained due to Drake’s own feelings of inadequacy as a Vampire hunter. Later after Harker finally managed to slay Dracula at the cost of his own life, Rachel and Drake would both quit being Vampire hunters. Sadly for Rachel, many years later she was turned into a Vampire by a resurrected Dracula who managed to catch her off guard. After becoming one of the undead she then became his servant and would be forced to help him battle against the X-Men. During the battle she managed to regain control of herself once more and finally slew Dracula. After she had avenged herself she begged the X-Men to slay her before she gave in to her Vampiric urges and Wolverine sadly obliged. Driving a stake through her heart, just as the sun came up. There are many strong similarities between Rachel and Buffy. First and foremost as already mentioned, both take the classic image in horror movies of the little blonde girl getting lured away and killed by monsters, and reverse it by making her a fierce Vampire killer that the monsters run away from. Both are also the latest in a long line of Vampire hunters that stretches throughout the ages, with the Van Helsings having been Vampire hunters since before even Abraham Van Helsing. Buffy meanwhile is the Slayer, the one girl in all the world, gifted with the strength and skill to hunt the Vampires, the Demons and the forces of darkness. There have been Slayers since the time of early man and after each Slayer dies another girl somewhere around the world is called. Buffy and Rachel also both have an older, stuffy, English mentor/father figure, Rupert Giles and Quincy Harker, who are also both members of a lineage of Vampire hunters too. Rachel and Drake’s relationship also has parallels to Buffy and Riley’s in that in both cases we have a more traditionally, big, dashing man’s man type of hero who feels inadequate for not being able to keep up with his girlfriend, (who physically resembles the more traditional victim role of the little blonde girl) as a Vampire hunter. Of the two similar characters, Buffy was the more accomplished, long lasting and the more iconic. Still it is worth noting that Rachel Van Helsing was one of the first female Vampire hunters and in many ways helped set the template for characters like Buffy. Tomb of Dracula introduced two characters who would go on to be a big inspiration for Angel and indeed many other good guy Vampire characters, Blade and Hannibal King. 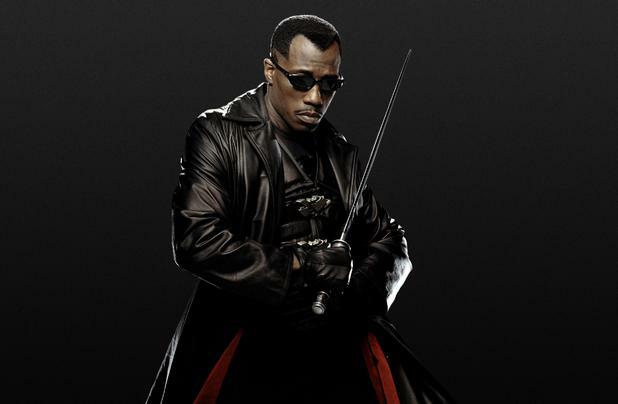 Blade originally began as a supporting character in Tomb of Dracula, though he would later gain his own series and go on to guest star in many other Marvel comic titles over the years. Blade’s real name is Eric Brooks and he was originally born in the United Kingdom in the 1920’s. His mother was a prostitute who was attacked by the Vampire Deacon Frost whilst she was pregnant with Blade.This resulted in the unborn baby having some Vampiric powers such as an extended life span (though not immortality), immunity to being turned into a Vampire, immunity to falling under the power of a Vampire and the ability to sense the undead regardless of how well they blended in. He was not an actual Vampire however. That development came about in the 1994 Spider-Man the Animated Series. For his appearances on this series Blade’s origins were altered slightly. Here his father was a Vampire who fell in love with a human woman and the two had a child whilst she was still human that they later abandoned. This child named Eric was a half human, half Vampire creature with all of their powers, but none of their weaknesses, though he also had their inhuman thirst for blood too. Living on the streets, Eric was found by a man named Whistler (voiced by Malcolm McDowell of A Clockwork Orange fame). Whistler was a Vampire hunter and seeing that Eric was different to the rest he took him in and helped him to control his thirst and use his powers to fight Vampires. Eric would become known as Blade. It was in this version that Blade would first be referred to as the Daywalker. For the 1998 film the makers used aspects of Blade’s comic book and animated origins. 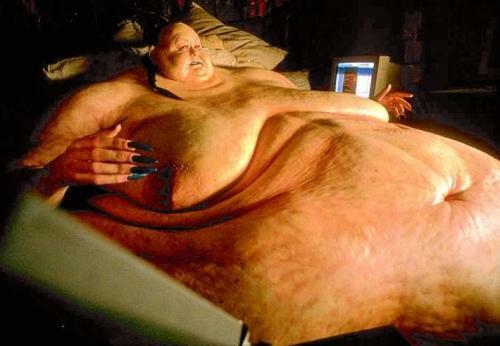 Just like in the comic books his mother was bitten whilst she was pregnant by Deacon Frost which resulted in the baby gaining some Vampiric attributes. Like the animated series he is a Vampire/Human hybrid and has all of their powers whilst none of their weaknesses. He also has the same thirst for blood that they do. Just like the animated series Blade was living on the streets before he was found by a Vampire hunter named Abraham Whistler (played here by Kris Kristofferson) who seeing that he was different took him in and trained him to become a Vampire hunter and to control his thirst. After the success of Spider-Man and Blade then Blade in the comics would become a half Vampire, half human hybrid too when he was bitten by the pseudo Vampire Morbius (who was created through science rather than magic) which affected him in a different way to normal people and caused him to become a new type of Vampire hybrid that could walk in the day. Hannibal King meanwhile was a private detective who was turned into a Vampire by Deacon Frost. King however managed to find a way to control his blood lust and used his Vampire powers to help people. He and Blade initially clashed as Blade mistook him for another Vampire, but eventually the two formed a strong friendship and would go on to battle Frost together as well as various other supernatural threats. King later appeared in the movie Blade Trinity played by Ryan Reynolds, but that version had no similarities to his comic book counterpart in any way, shape or form. Aspects of both Blade and King’s story arcs would be reflected in Angels. Again that’s not to say that Angel was in any way derivative of either characters but still you can see how they both did inspire him in certain ways. In Buffy Angel much like Blade is a Vampire/human hybrid in that he is a Vampire that has been cursed with a human soul and so therefore has human emotions such as remorse and guilt that Vampires otherwise don’t feel. Angel much like Blade spends many years living on the streets until he is approached by a Demon named Whistler! Whistler convinces Angel, the special, human Vampire to use his powers for good which eventually leads to Angel becoming a hero, fighting other Vampires, Demons etc. Angel much like Blade is looked on as a freak by other Vampires due to his more human nature and personality. In his own series Angel becomes a Vampire detective just like King. Now there have been many Vampire detective characters over the years, King was actually the first ever Vampire detective character. Also some interesting parallels can be drawn between Angel and Gunn’s relationship and King and Blade’s. 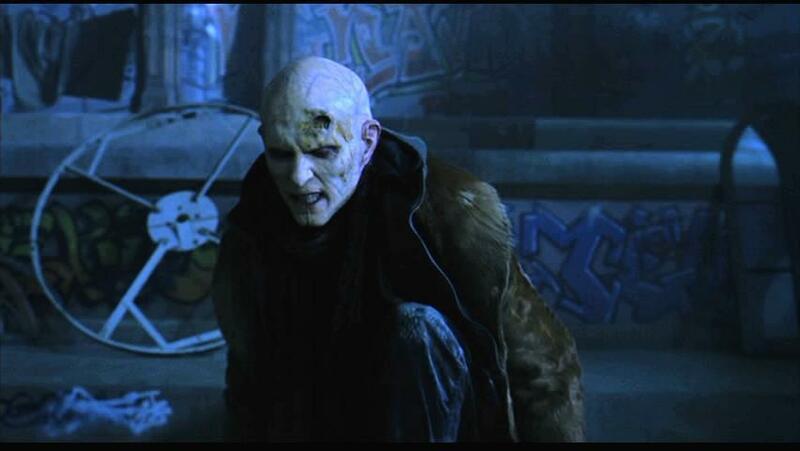 In both cases we have a character who lives on the streets and has a fanatical hatred of Vampires brought about in no small part because of the death of a woman close to both men (in Gunn’s case his sister, in Blade’s his girlfriend Glory, also the name of the main antagonist in season 5 of Buffy. An homage perhaps?) Both initially when coming into contact with a shy, quiet, reserved, tormented Vampire detective try and kill them, until they see that they are different to the others and form an unlikely partnership, and later friendship with them. A lot of critics have often compared the character of Angel with Lestat from Anne Rice’s the Vampire Chronicles. There are some vague similarities sure, but ultimately I think that Blade and Hannibal King are really the precursors to the character more. Angel along with Blade and Hannibal King really represented a merging of the Vampire and superhero genres. Ultimately I think it was this that gave Angel a much wider appeal as he wasn’t simply just another romantic Vampire, he was a charismatic superhero like Batman. Whilst obviously there was a romantic element to Angel so many of his most prominent story arc’s in his own show aren’t romantic at all such as his rivalry with Spike, the Shanshu prophecy, Wolfram and Hart’s plans to make him go evil again, his redemption of Faith and his final kamikaze attack on the circle of the Black Thorn. Ultimately I see Angel rather than being a Lestat, Edward Cullen type of character, as being more of a modern day superhero, who happens to be a Vampire which is why I feel he owes more to King and Blade. 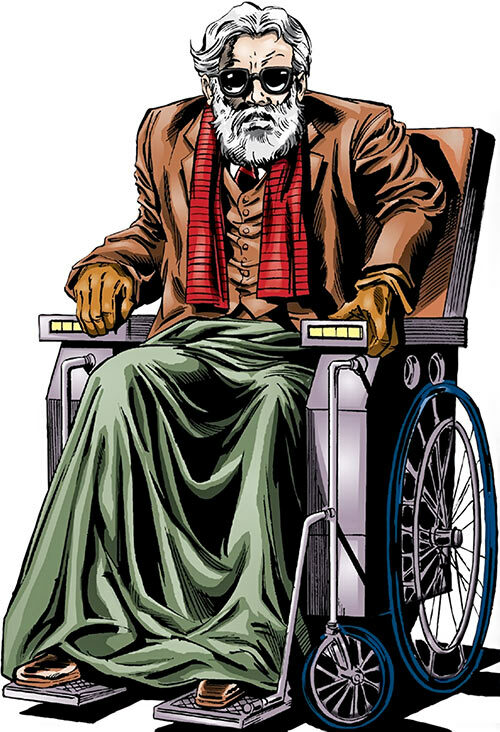 Both Buffy and Blade feature a character named Whistler who guides the main Vampire hero on the path towards heroism. Whistler was not featured in the original Blade comics. He first appeared in Spider-Man the animated series and went on to appear in the later film trilogy starring Wesley Snipes. In both versions Whistler is a Vampire hunter who finds Blade on the streets, takes him in, trains him both to use his powers to help people and fight other Vampires and to control his thirst for blood. In both versions he also becomes a mentor/father figure to Blade. In Buffy a benevolent Demon named Whistler finds Angel living on the streets, and convinces him to use his powers to help people. He even introduces him to Buffy. Though Whistler was only in two episodes of the tv show, he is without doubt one of the key characters in the entire Buffy/Angel franchise as he was the one who put Angel on the path towards redemption. Angel even tells Whistler that he wants to be like him! Whistler was originally intended to appear as the third main character in Angel the series alongside Angel and Cordelia Chase. Sadly Max Perlich who played Whistler was unavailable and so Doyle a character similar to Whistler, a benevolent Demon who works for the Powers that Be, serves as Angels guide in LA, was created to take his place. Max Perlich expressed some regret over this saying that he would have loved to have worked with Joss Whedon and David Boreanaz again, but had he accepted then the parallels between Angel and Blade would have been even stronger. Both the Blade film series and the Angel television series would have revolved around a special, more human Vampire, shunned by the rest of its kind that constantly has to try and control its bloodlust, fighting other Vampires and monsters, whilst working alongside a man named Whistler who was the one who found them in the gutter and convinced them to be a hero and who now serves as a guide to them. Of course its worth noting that other than their names and respective roles of finding the special, human Vampire then there are no similarities between the two Whistlers in terms of characterisation. The Blade Whistler meanwhile in Spider-Man is a more refined, serious, cerebral character whilst in the Blade film series he is an old, drunken, embittered character. Still these differences aside I think its safe to say that the Whistler in Buffy was a similar character to if not closely inspired by the Whistler in Blade as both ultimately fulfilled the same role. Blade 2 and Buffy season 7 both featured a fascinating concept of there being a second more powerful and dangerous race of Vampires that regular Vampires fear, the Reapers in Blade’s case and the Turok Han in Buffy’s. Blade 2 predated Buffy season 7 by a couple of months. The Reapers were an attempt to create the ultimate Vampire by the leader of the Vampire nation, Damaskinos. Unfortunately the first of these super Vampires named Nomak escaped. Nomak had the ability to feed on the blood of regular Vampires and turn them into creatures like him called The Reapers. Nomak decided to create more Reapers to wipe out the regular Vampires whom he despised for making him into the monster he was. The Reapers apart from Nomak are all as single minded as animals. They are far stronger, faster and more agile than regular Vamps and are immune to certain Vampire weaknesses. They can not be harmed by garlic, and though a stake through the heart can kill them, they have a thick bone over their heart which makes staking very difficult. Sunlight and UV lights will destroy them just as easily as it will regular Vamps. The Reapers also have a hideous three way, leech like jaw. Blade teams up with a group of Vampires called the Blood pack to take out the Reapers who threaten to exterminate both humans (whom they still feed on as well) and regular Vampires. In Buffy season 7 we are introduced to the Turok Han, described by Giles as being to Vampires what Neanderthals are to humans, an entirely separate, but closely related race. Turok Han Vampires are as single minded as animals. They are far stronger and faster than regular Vampires and are immune to many Vampire weaknesses. Crosses have no effect on Turok Han, holy water only produces minor burns, whilst they do not need an invitation to enter a house. They also like the Reapers have thick chests which makes it difficult, but not impossible to stake them. The Turok Han do not feed on regular Vampires however, but Giles still does describe them as being the Vampires that Vampires fear and the first Turok Han is shown to take a particular pleasure in torturing the regular Vampire Spike who it holds captive. The Turok Han make their first proper appearance in the episode Bring on the Night where one is freed by the First Evil to slaughter the potential slayers as well as break Spike, a reformed Vampire into joining the First. The Turok Han is shown to be far more powerful than even the Slayer as it very nearly kills Buffy herself who is forced to use every single resource to kill the Demon. Later in the series it is revealed that the First has an army of 100’s of thousands of Turok Han Vampires waiting to be unleashed on the world. The final ever episode of Buffy sees her and her friends wage war on the monsters in the Hellmouth. The Reapers and the Turok Han were such a brilliant, yet such a simple idea. What do Vampires fear? What are the monsters that keep monsters awake at night? Of the two of them the Reapers are probably more famous as their 3 way leech like jaw has become imitable in popular culture. A Halloween episode of the Simpsons which featured many classic movie monsters from Godzilla to the Cyclops from The 7th Voyage of Sinbad featured Homer briefly becoming a Reaper. Still both were terrifying monsters nonetheless. Though the Turok Han were undermined greatly in their final episode, the first Turok Han is still nevertheless one of the most effective villains in the entire series for me. When it faces Buffy its one of the few times that I genuinely felt there was nothing that she could do against a monster. There are many instances where Buffy is an under dog in her battles against evil. Indeed apart from the second season, all of the big bad’s she faces are far more powerful than her. Still in spite of this Buffy usually remains calm and cool in a fight regardless of how unstoppable her foe seems. When Buffy faces the Mayor for instance in their final battle, even though he is a 100 foot tall snake that could eat her in a single bite, she still keeps her cool, she even taunts him and manages to lure him into Sunnydale High where he is destroyed. With the Turok Han however in her first two battles with the Demon, Buffy looks genuinely terrified and helpless. She doesn’t even try and fight it, more just runs away! Only the most horrifying and dangerous villains in the series such as The Master, Glory and Caleb, were able to make the Slayer seem like a genuine damsel in distress and thus I would rank the first Turok Han along with the likes of Glory and The Master as being among Buffy’s most frightening enemies. They are called Uber Vampires for a reason. You wont catch these guys starring in crappy, teen romance novels. I had always hoped that the idea of a second race of more powerful, feral Vampires would become a classic Vampire trope after the popularity of Blade and Buffy. Many pieces of Vampire and supernatural fiction reuse a lot of the same tropes and characters, such as Vampires vs Werewolves, the brooding, love struck good guy Vampire, the Vampire hunter who goes insane after his loved ones are killed by them and ends up becoming a villain, not caring if the Vampires or monsters he hunts are reformed or not, and even being possibly prepared to kill innocent people if need be, such as Holtz from Angel, Gordon Walker from Supernatural or Kemp from Being Human. I was really hoping that similarly we would see Uber Vampires, the second, more powerful, feral race of Vampires start popping up in other supernatural themed series, but sadly no one has used the idea since Buffy and Blade. Shame as it really is a brilliant idea and I’d have loved to have seen Sam and Dean take on some Uber Vamps (which might have made up for the regular Vampires in Supernatural being so whiny!) Still the Turok Han and the Reapers were both effective villains overall. Both Quincy Harker and Rupert Giles fulfil a somewhat similar role of being the older, English, stuffy, mentor to the young, blonde, female Vampire slayer who is still very dangerous and capable of holding his own in a fight. Other than that superficial similarity however I must admit there aren’t really any parallels that can be drawn between those two characters. The idea of an older Vampire or Demon hunter serving as a mentor is an idea that has popped up many times such as with Bobby Singer to the Winchesters. Its worth noting as a small parallel between both shows but ultimately the two characters don’t really share any strong characteristics. A more minor similarity as both are relatively minor characters (though both sort of play a big role in both franchises as it was Pearl who translated the scripture which Frost later used to summon the blood god, whilst it was while battling Balthazar’s forces that Faith killed a man which ended up making her go rogue). Visually Pearl and Balthazar are almost identical. 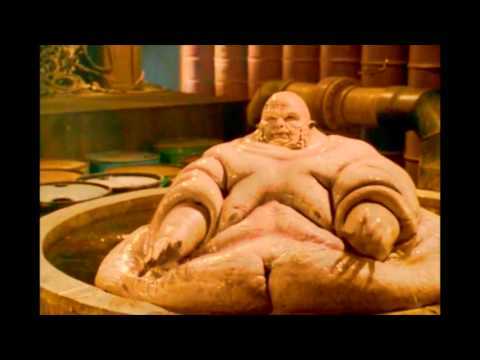 They are both morbidly obese, bald and naked and they also both die in a similar fashion in that they are both fried. Though again in terms of characterisation they are complete opposites. Balthazar is a loud, aggressive, shouting bully who is actually quite powerful and nearly kills Angel, whilst Pearl is hilariously inept, cowardly and incompetent. Their death scenes are also very different despite the similar way they are both dispatched. Balthazar dies with dignity, laughing at his enemies and telling them that when the Mayor rises they will wish he had killed them all whilst Pearl dies a pitiful death, whimpering and pleading and sobbing. Still visually they are fairly similar and Balthazar’s look may have been an homage to Pearl’s. As you can see there are a few strong similarities between Blade and Buffy. Again it would be unfair to call Buffy or Angel rip off’s of Blade and Tomb of Dracula, but at the same time I think its fair to say that the Blade franchise was among the biggest influences on Buffy and Angel. Both also tended to cover the same ground too as both were really a merging of the Vampire and superhero genres, with comic books such as the X-Men being among the other key influences on Buffy (Buffy’s surname is even taken from the X-Man Cyclops, Scott Summers) whilst Blade was always a traditional superhero in a supernatural setting. Thus its not surprising that they may have explored similar ideas and concepts even if they weren’t always inspired by one another. I’d definitely recommend Blade to a Buffy fan or Buffy to a Blade fan as I think they have more in common with each other than other pieces of Vampire fiction. Both revolve around evil, monstrous Vampires, who plan to exterminate humanity, and who are regularly, even gruesomely killed without any moral ambiguity, both feature supernatural heroes who embody classic superhero tropes, both regularly feature elaborate, over the top action sequences, both are set in modern day, contemporary big cities with a supernatural menace lurking beneath. You are probably not going to see scenes like these in The Vampire Diaries and Twilight! Buffy at the end of the day obviously has its own identity and is probably the most important piece of Vampire fiction of the last 30 years, but still when looking at its influences as well as comparable franchises then I think Blade is an important one to mention, and is one that Joss Whedon himself has always acknowledged too.